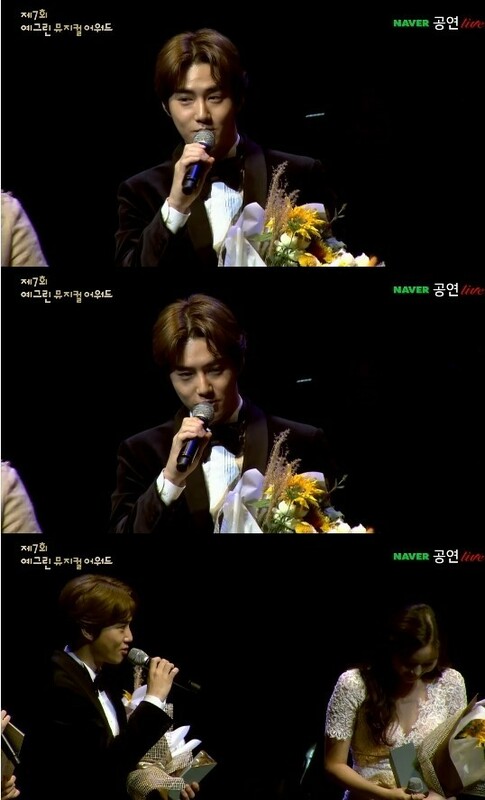 For the 'Popularity Award,' Suho and Min Kyung Ah�are given the trophy. 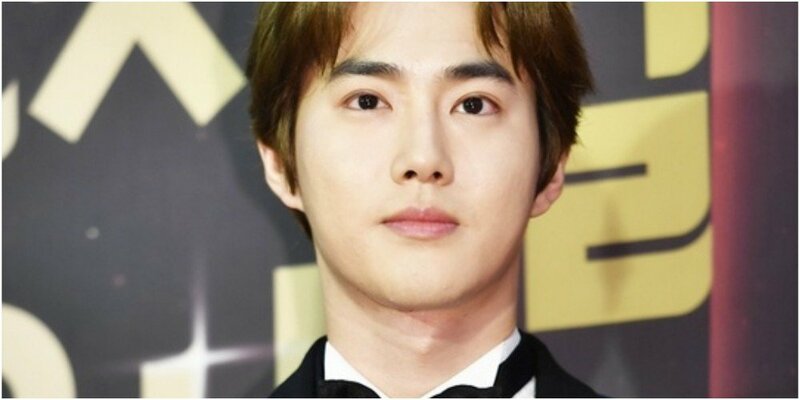 Suho expressed appreciation, stating, "It's already an honor�just�to be here at the 'Yegreen�Musical Awards' so I'm sincerely grateful to receive this nice award. I was very lonely practicing and singing for 'The Last Kiss' and 'The Man Who Laughs.' I sincerely appreciate those people who help me realize that I'm not alone during those times. I thank the audience who filled up the seats and EXO-Ls. I learned so much while doing musicals. I learned a lot while working with many sunbaes�but (out of all) I learned that sincerity goes to great lengths. I'll continue to become a musical actor that acts with sincerity." When asked about the secret to his popularity, Suho brought laughter as he replied, "Because I'm EXO, honestly," and said, "Many EXO-Ls came (to my musicals). I'm so thankful." I love him! He deserves all the praise in the world. "When asked about the secret to his popularity, Suho brought laughter as he replied, "Because I'm EXO, honestly," Not entirely true! I don't like EXO but I love Suho. He's really polite, charming, sweet and he's a good singer as well. I'm pretty sure he's popular among those, like me, who aren't exo fans.